The impact of the built environment on health and wellbeing is a gaining wider attention globally and is consequently becoming an area of focus in the real estate industry. In fact, the global wellness real estate market is now valued at around $4 trillion (Dh14.69 trillion) and there is increasing regional and global interest in this type of property, says Talal Moafaq Al Gaddah, CEO of MAG Property Development. MAG is bringing the first wellness-inspired development in the region with the MAG Creek Wellbeing Resort project. The idea behind such a project, says Al Gaddah, is to seamlessly integrate science, health and technology within the built environment to improve the well-being and happiness of residents. “We are confident that in the coming years this will become a growing trend that is adopted by an increasing number of developers,” he says. Al Gaddah shares how wellness standards can be incorporated in the homes in an interview with PW. What led you to this niche market? The concept of wellness real estate was first introduced to the region by MAG PD, and we believe that in the coming years more developers will follow suit and start building projects that adhere to the highest wellness standards. We are committed to supporting the UAE Vision 2021, and by making wellness homes and paying attention to the health and happiness of our residents, we believe that we are contributing to the overall goals of this vision. The value of wellness-inspired developments is two-fold. For developers, they are a way to remain highly competitive in a saturated market, and for residents, they go beyond investment and asset management to improve quality of life. How do you ensure that people’s health, active lifestyle and wellness are in focus in your real estate projects? MAG of Life is the wellness-focused arm of MAG PD that concentrates on improving quality of life by creating urban environments that are not only liveable, but also focus on enhancing the health and wellness of residents. MAG PD recently announced the launch of its MAG Creek Wellbeing Resort, which is designed to improve the well-being and happiness of residents by integrating the best of science, health and technology within the built environment. The development promises to provide residents with a holistic and healthy lifestyle. The wellness-inspired residences will be designed and engineered to boost both physical and emotional wellbeing through proprietary, patented and evidence-based integrations that use cutting-edge health technologies, processes and materials. These include advanced air and water filtration systems and innovative lighting technologies that improve the mood, sleep patterns and overall health of residents. Reflecting the vision of its parent company, MAG of Life aims to provide Dubai with a platform to improve human lives by creating buildings that are developed with people’s well-being at the centre of their design and supported by comprehensive programming, beautiful architecture, efficient consultation, thorough research, and an array of the most innovative technological solutions. 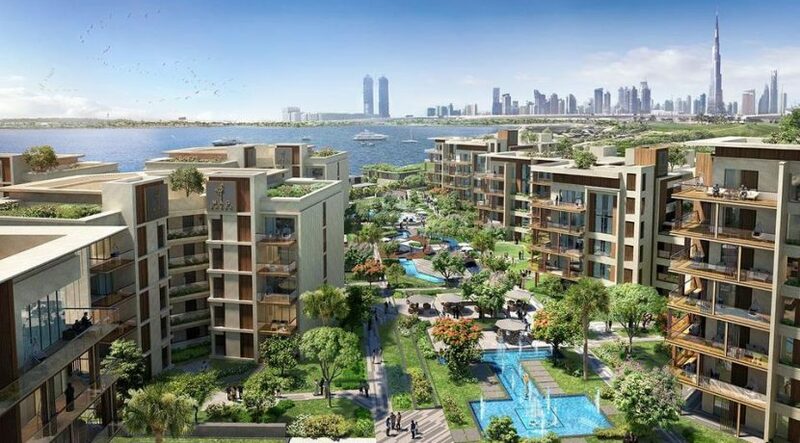 What is lacking in the UAE when it comes to constructing healthy-lifestyle properties? I believe that as life in the UAE is demanding and moves fast, it is vital that a home is a space not just to relax, but also to rejuvenate. Our MAG Creek Wellbeing Resort is developed to combine the highest standards of health and luxury facilities, making it the only project of its kind in the region. To ensure that the idea is implemented with the height of precision in each mansion, MAG PD has joined forces with the world’s finest expertise after reaching a new partnership with Delos, a leading wellness real estate and technology company. Is this something every developer can achieve? I think every developer should focus on the well-being of residents. This involves taking health into consideration by using high-end wellness technologies that optimise the quality of air, light, water, materials and indoor acoustics to enhance nutrition, fitness, mood, sleep patterns and performance. Through our work with Delos, we will apply these technologies to ensure that from arrival to departure, from sleep to waking up and from bathing to dining, mansion residents will enjoy a refreshing and wellness-focused standard of living. Can you give details about the project’s healthy-living features? Each mansion in MAG Creek Wellbeing Resort features integrated solutions with wellness programming by Delos. These aim to harmonise the systems of the body with those of the home by bringing in what the body needs and filtering out elements that may harm it. Exposure to light regulates the body’s circadian rhythm, a biological process that determines natural sleep-wake cycles and controls several hormones such as cortisol, growth hormone and melatonin, among others. The presence of daylight, combined with the quality of artificial lighting in your home, can have a significant impact on your mood, comfort, alertness and sleep quality. We have addressed this in our mansions by integrating easily adjustable lighting scenes that help the body to either relax or feel more energised and dynamic. Light-diffusing windows also automatically adjust their opacity and tint to prevent glare, while maintaining a beautiful outdoor view. The mansions also offer advanced filtration with an air purification system that includes in-duct air filtration and ultraviolet lights that purify and improve indoor air quality. The system removes allergens, toxins, pathogens and pollen to significantly reduce the harmful contaminants in the indoor breathable air. We have also considered water quality with a best-in-class water purification system that removes harmful inorganic, organic and biological contaminants to provide superior sanitation levels. This whole home water filtration system allows residents to enjoy the clean, refreshing taste of filtered water right from their kitchen and bathroom sinks. Every detail has been considered at MAG Creek Wellbeing Resort. Other features include comfort flooring that provides a supported feel under the feet by decreasing floor firmness, acting as a shock absorber and providing extra support when standing for long periods of time, without making the floor feel spongey. Double-glazed windows have been used to create a quiet interior environment, and low-volatile organic compound paints, coatings, interior adhesives and sealants provide a significantly healthier indoor environment.